During your initial visit, the doctor will review and discuss your detailed health history forms so they can gather a deeper understanding of your current condition. They will inquire about your current chief complaint and how it is affecting your daily activities. The doctor will also explore any past injuries or illnesses that may be contributing to your current condition. Lastly, the doctor will want to know about any other previous treatments that you have tried to use to resolve your current condition. 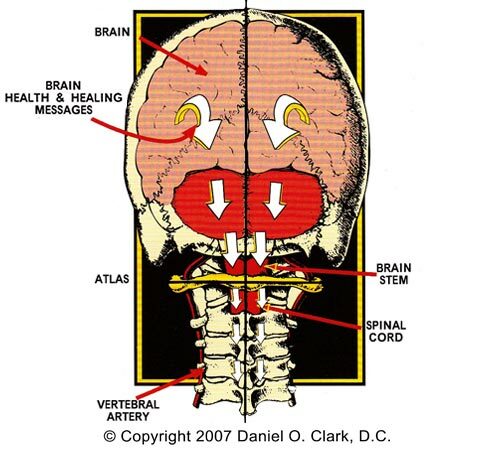 If the doctor is confident that you could benefit from upper cervical alignment, then they would proceed with further diagnostic examinations. We will use several diagnostic exams to detect the cause of your current condition. Our diagnostic equipment includes state of the art technology that is minimally invasive and very accurate at detecting any irritation/injury to your spinal structures and nervous system. We will use computerized surface electromyography (sEMG), cervical range of motion exams, postural measurements, spinal motion palpation exams, and digital 3-D x-rays of your cervical spine. These very specific examinations will enable us to detect any misalignment of your cervical spine and dysfunction to your nervous system. Upon returning for your second visit to our office, the doctor will provide a very detailed report explaining the clinical findings from your exams. The detailed report will include a specific diagnosis, an explanation of the necessary care including the frequency and duration of care and the ultimate goals of receiving upper cervical care. The doctor will communicate to you the benefits of beginning an upper cervical care plan as well as the possible negative consequences of not choosing an upper cervical care plan. The doctor will also perform your very first specific and gentle spinal correction to begin relieving your symptoms. One major benefit of our upper cervical care is the ability to correct your alignment with a very light touch to the upper neck without any physical manipulation. During follow-up visits, the doctor will assess your spinal alignment and any changes in your symptoms. The doctor will continue to monitor your progress during follow-up visits and may make other suggestions regarding nutrition, exercise, rest, proper lifting and stress reduction methods. At the completion of your initial care plan, the doctor will perform a progress exam to measure your improvement. This exam will determine whether active care should continue further or if you are ready for the transition to a wellness care plan. During your care, we will provide many opportunities to learn about the lifetime benefits of upper cervical care, clinical nutrition and purification programs. We provide learning opportunities with in-office classes, our website, social media, newsletters and community speaking events. We believe that teaching about health and wellness is very important for you to become completely well and strongly encourage you to participate in our educational services and events. 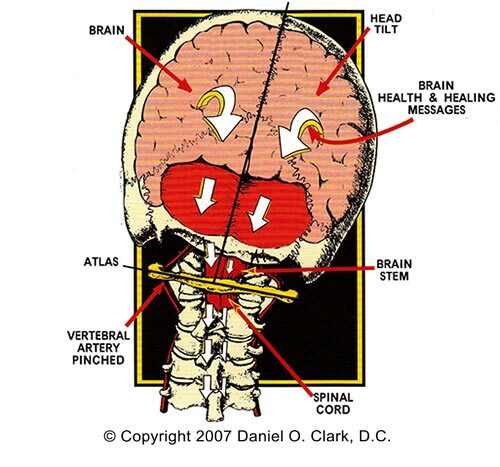 When normal brain health and healing messages CANNOT flow to all parts of the body due to interference at the point where the head/neck join, you may expect health problems to develop. When normal brain health and healing messages CAN flow to all parts of the body without interference, you may expect good health.